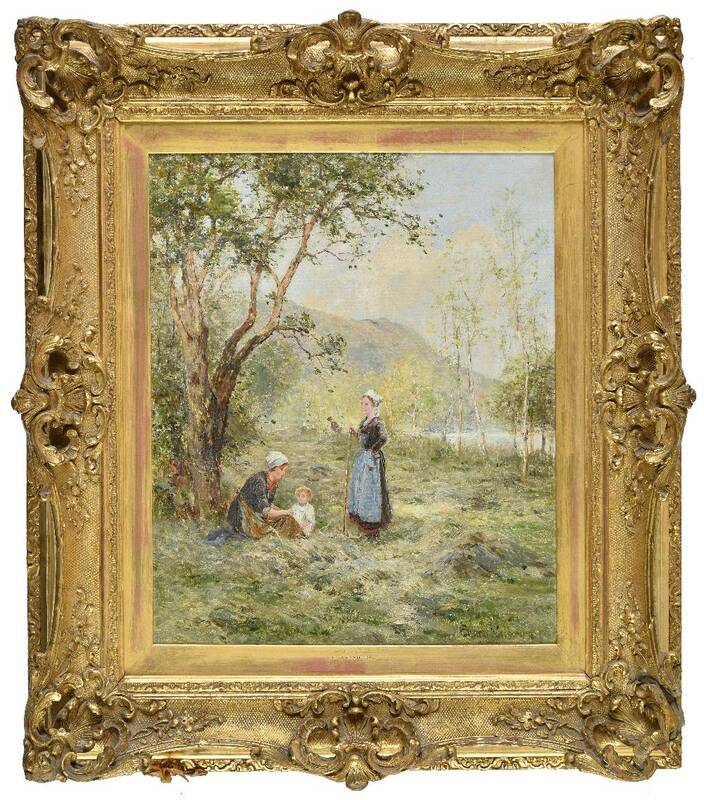 English artist Ernest Walbourn is best known for such scenes of rural life as this, in which he combines the realistic with the romantic. His ambition to be an artist conflicted with his father's hopes of him becoming an architect, with the result that he ran away from home and lodged in a local public house. His father subsequently relented, setting up a studio at home for him and funding his formal art training. Walbourn went on to exhibit at the Royal Institute of Oil Painters, the Royal Academy, and the Royal Society of British Artists. He married Eva Knight who assisted by painting the backgrounds of some of his larger works, later achieving recognition as an artist in her own right.